MV Salon is proud to offer a selection of hair care products that are efficient and gentle to your hair so you hair looks healthy and beautiful. We use Redken, Wella, L’Oreal Richesse and Majirel hair color. A true visionary, Mr. Ales paved the way for botanical hair care long before the emergence of environmental awareness and “green” hair care trends. 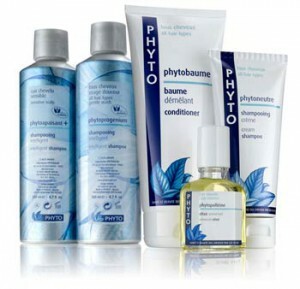 From 1956 to 1966, he released his first PHYTO products: Huile D’Ales, Phyto 7, Phytodefrisant, and Phytopolleine. In 1969, Mr. Ales presented PHYTO to the public along with the opening of the Patrick Ales Salon in Paris, sill open today, where his clients such as screen siren Catherine Deneuve and former first lady Jacqueline Kennedy Onassis, became the beneficiaries of his new botanical hair care line. With fervor and passion, he developed a range of highly concentrated, plant-based solutions to reveal hair’s natural beauty. Phyto was born. 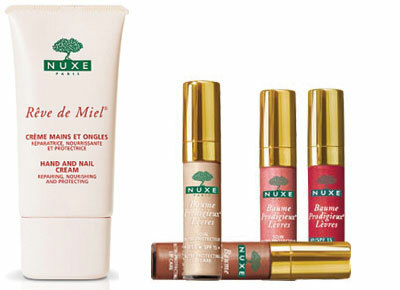 NUXE is the natural origin cosmetology brand that combines performance and pleasure, and one of the best-selling* brands in pharmacies and parapharmacies in France. 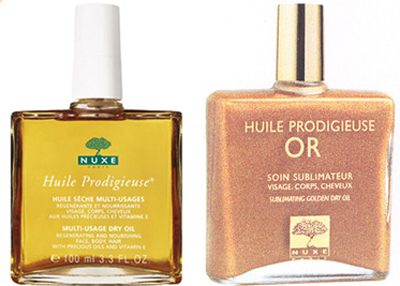 HUILE PRODIGIEUSE from NUXE This easily-absorbed, multi-usage Dry Oil will leave your skin soft and silky in a single step, while your hair will be left with amazing softness and shine. Shimmering Dry Oil includes iridescent gold particles that illuminate all skin types and all hair types with a subtle golden shimmer. Nourishing and protecting, this astounding cream will help you get heavenly hands. Its ultimate refinery comes from the fact that it also strengthens your nails and softens your cuticles. This multi-purpose balm nourishes (Mango and Shea Butters, Sunflower and Sweet Almond Oils), protects (Solar Filters SPF 15, Vitamin E) and enhances the lips (iridescent gloss effect). Plant Filling Spheres smooth and replump the lips. 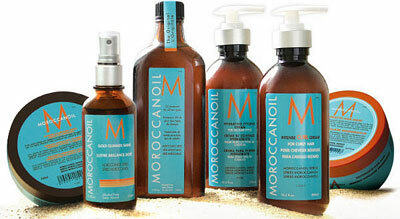 MOROCCANOIL is a revolutionary line of styling, finishing and conditioning products made with Argan oil, a gift of nature found growing only in southwest morocco. Argan oil is a powerful antioxidant, UV protector and free radical neutralizer, rich in vitamins that strengthen hair and increase hair’s elasticity. 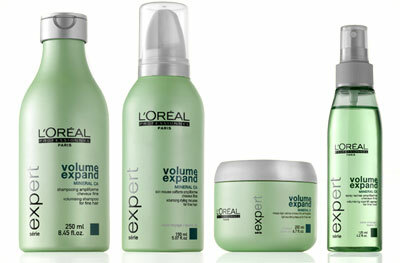 L’OREAL SERIE EXPERT offers the first complete haircare systems that treat the hair’s molecular structure from the core to the surface. 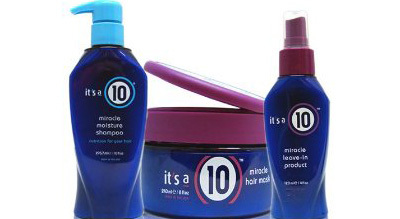 Its formulas deliver high performance results to maintain and preserve beautiful hair between salon visits. 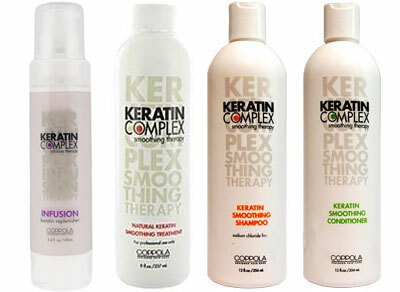 COPOLLA KERATIN COMPLEX is now the leading smoothing system in the World! Founded by renowned stylist and salon owner Peter Coppola, all Keratin Complex treatments and styling products are specially formulated to contain natural keratin protein, which rebuilds, restores and rejuvenates all types of hair. No more bad hair days with Keratin Complex! Flat iron spray & thermal protector. 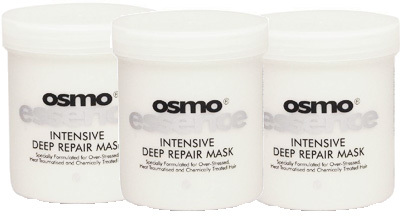 OSMO INTENSE DEEP REPAIR MASK is a deep nourishing treatment that restores the moisture balance and elasticity of your hair.